Building site hoarding doesn’t have to be boring. When asked to create signage for a United Utilities site in the Lake District, we came up with a unique alternative. Our client brings water to 3.2 million homes and 200,000 businesses throughout Merseyside, Greater Manchester, Cheshire, Cumbria and Lancashire. The impact on our communities is clear, with the company managing a vast network of pumping stations, water pipes and sewers, reservoirs and treatment works across the North West. United Utilities is aware that they have a profound influence on the social, economic and environmental wellbeing of the areas they serve, and they work hard to minimise any impact on the environment. 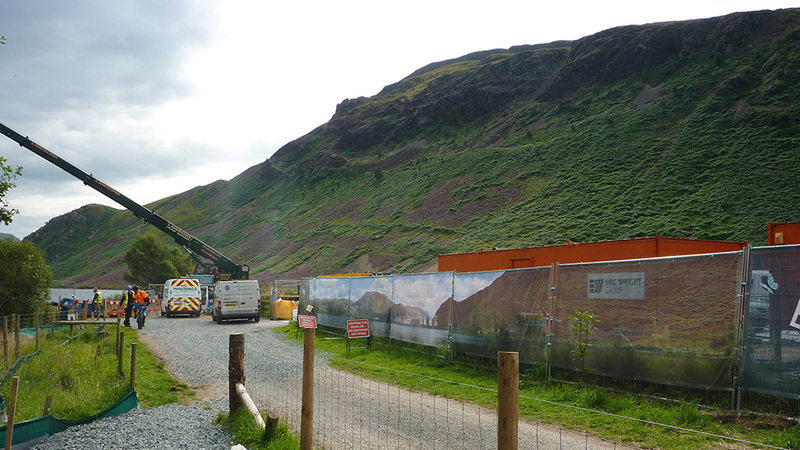 Our client needed to maintain the safety and security of its worksite near Ennerdale Water – a small glacial lake in Cumbria – while reducing the company’s visual impact on the surrounding landscape, of stunning natural beauty. Rather than use traditional building site hoarding to keep people informed, our creative team developed a series of mirror-like aluminium panels, giving hikers and cyclists a chance to enjoy the lake’s unspoiled scenery. The optical effect helped disguise the machinery while work progressed. 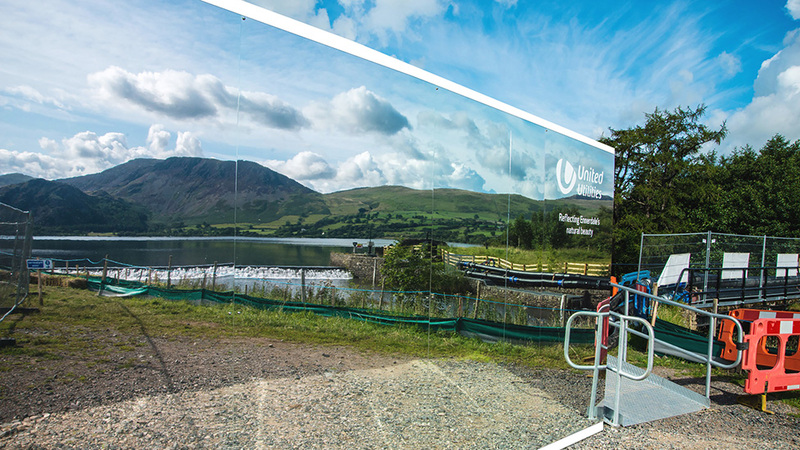 Additionally, to provide local residents with information about the engineering site, traditional signage – bearing the slogan, “Reflecting Ennerdale’s Natural Beauty” – was also combined with the mirrored panels to enhance the installation. Adding an element of fun, our team incorporated the hashtag #Ennerdaleselfie into the design and encouraged individuals to take photos of themselves reflected in aluminium panels. This provided our client with two additional benefits which could not have been achieved through standard building site hoarding. Not only were people engaging with United Utilities via Twitter and Facebook in a positive way, the campaign helped to raise awareness about the company’s work in the area and highlighted its efforts to complete projects in an environmentally-conscious way. Local response to the mirrored building site hoarding developed by Parker Design was overwhelmingly positive. In addition to the public’s increased social media engagement with the panels, the company received encouraging feedback from local residents, hikers and cyclists. As a result, United Utilities decided to use the aluminium panels at a second site in Keswick to help the company conceal temporary structures. We have thrown pretty much everything at Parker Design Consultants over the past six months, from fast turnaround report covers to developing innovative exhibitions and their response has been consistently enthusiastic, creative, helpful and always on time.